In this Nov. 15, 2018 photo, Maryland Delegate-elect Lily Qi,sits in her North Potomac, Md., basement, which served as her campaign's "situation room" this year as she made her first run for public office. As a first-generation Chinese American, Qi used her campaign to mobilize other Asian American voters in Montgomery County, activating a small but increasingly energized constituency that is generally reticent to participate in local politics. As a first-generation Asian American running for a seat in the Maryland state legislature, Democrat Lily Qi felt disconnected from the party establishment. She had worked for years as Montgomery County Executive Isiah Leggett's chief administrator overseeing economic and workforce development. But she lacked the political base and union endorsements of some other delegate candidates, and she knew that immigrants like herself were rarely sought out by politicians in Maryland or elected to office. So Qi turned to the large Asian American immigrant community in her district, writing columns about the U.S. party system in local Chinese-language newspapers and discussing her platform on WeChat, a popular messaging app. She picked out Chinese names on voter rolls to make targeted phone calls, arguing that immigrants can't afford to be disengaged from local politics and that in liberal Montgomery, waiting until the general election often means missing the competitive races. Like other Asian American politicians, Qi had to navigate cultural land mines on issues such as affirmative action, efforts to diversify public school magnet programs and protections for undocumented immigrants, all of which have provoked tension in the broader Asian American community. Who Is the Real Corey Stewart? Former state Del. 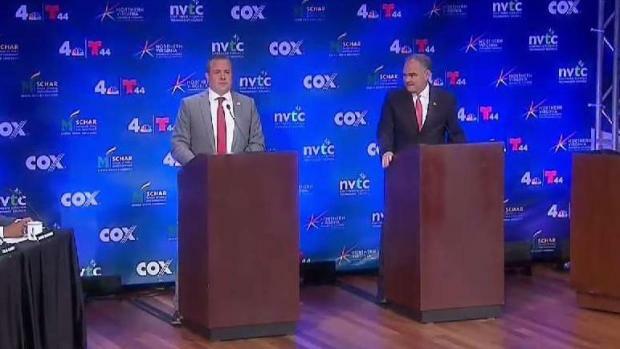 David Ramadan described two Corey Stewarts: One who entered politics pro-business and pro-establishment and one who has focused on immigration and confederate statues. George Mason University Dean Dr. Mark J. Rozell asks the candidate which is the real Corey Stewart. In November, she was elected as one of three delegates representing legislative District 15 in the General Assembly. 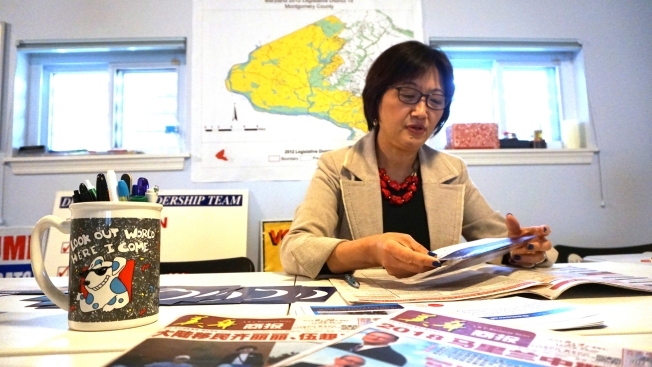 She will join at least two other Asian immigrants and 10 other Asian Americans in Annapolis, said state Sen. Susan Lee (D-Montgomery), who chairs the Legislative Asian American & Pacific Islander Caucus. Qi says she worked to energize a group of historically nonpartisan immigrant voters, many of whom, like her, grew up in Communist China and were reluctant to engage in local politics. "Democracy is the best system," the 55-year-old said inside her North Potomac basement, which served as her campaign headquarters. "But it favors those who participate." Qi began her career with the county government as Leggett's liaison to the Asian American community. She knew that about a third of Montgomery's residents are foreign-born and 16 percent are Asian. In addition to microtargeting Chinese Americans, Qi persuaded leaders of the Korean- and Vietnamese-American communities to spread her message, registered people to vote at community events and arranged tea times to meet individually with prospective voters. University of Maryland professor Janelle Wong, who has studied Asian American political engagement, followed Qi's campaign, impressed that she drew hundreds of people to conversations on WeChat. She said Qi, who raised nearly $150,000, did what many candidates don't do: contact not-registered and avowedly nonpartisan voters directly with an appeal to change their behavior. "She is able to communicate across multiple platforms," Wong said. "It gave her some entree and appeal that few campaigns get ... when targeting a non-English (speaking) population." State Del. David Moon (D-District 20), whose parents are immigrants from Korea, said he has always focused on voters of all ethnicities, believing that the diversity of the Asian American population makes microtargeting difficult. "We don't have a common Asian language the way Hispanics do," Moon said. "Everything breaks down to a specific country." It's also expensive to try to engage voters who may not show up in the numbers needed to win highly competitive primary races, said state Senator-elect Clarence Lam (D-Howard). "Candidates do outreach to the community because it's the right thing to do. But we don't have the resources to educate and register to vote," said Lam, whose parents immigrated from Taiwan and Hong Kong. "They just don't vote in the elections that matter." Qi, a past chapter president of a Chinese American civil rights organization, understood the reluctance of some to choose a political party. She took out newspaper ads touting the importance of voting, trying to persuade people such as Paul Li, a Rockville business owner, that politicians would ignore them if their voices were not heard at the ballot box. "Parties have a negative connotation in Chinese American culture. We are very skeptical of dogmatic ideologies on either side," said Li, who at Qi's urging changed his registration from unaffiliated to Democratic and voted for her in the June primary. "We cannot mind our own business anymore," Li said. "We don't want to be viewed as foreigners. We are Americans." Republican Cheng Tu disagreed with Qi on certain immigration-related issues but said he identified with her background, pro-business platform and moderate approach to solving problems. He switched to the Democratic Party to vote for her in the primary, when she placed second out of nine candidates (the top three finishers easily defeated their Republican rivals in November). Then he promptly switched back. "I care more about the person and the viewpoint than the party," said Tu, who wrote a piece in the local Chinese business journal explaining his decision. Some Asian immigrants were wary of Qi because they saw the Democratic Party as pushing racial parity in school programs for the gifted, which they believed would place high-achieving Asian American children at a disadvantage. Some also opposed Democratic efforts to guarantee sanctuary for undocumented immigrants, a controversial political issue that may be one reason many Asian Americans in Maryland support Republican Gov. Larry Hogan. Qi said she supports diversifying schools but thinks the way to improve student outcomes is to improve all schools, not rely solely on gifted programs. When it comes to sanctuary policies, Qi said she agrees that local resources should not be used to enforce federal law. But she said that shouldn't prevent local law enforcement from referring violent criminals to immigration enforcement. "I don't believe Maryland needs sanctuary community designation," Qi said. "If our goal is a safe and welcoming community, then we already have that." Ting Mei Chau is another person Qi convinced. She emigrated from China as an adult and became active in the PTA at her children's school out of concern about racial balancing in gifted and talented programs. "For Asians, education is very important, and we believe personal effort and work ethic puts you more in advanced classes," the North Potomac mother said. "Of course, we didn't understand institutional discrimination. We never thought about that before. We don't really talk about the other factors that can impact achievement." After meeting with Qi one-on-one, Chau said she saw a candidate who cares about the community. Then she wrote her a campaign check. Once in Annapolis, Qi said she wants to see Montgomery and the state become more competitive about attracting biotech entrepreneurs and fostering that industry's growth. She supports a $15 statewide minimum wage, which she says would give businesses predictability. Her experience as a candidate has inspired Qi to push for legislation to open up primaries to independent voters and give new registrants better information about the party system. "I want to make sure I bring a voice of reason and a unique perspective to the legislative body, so certain communities' voices are also part of the thinking process," she said.